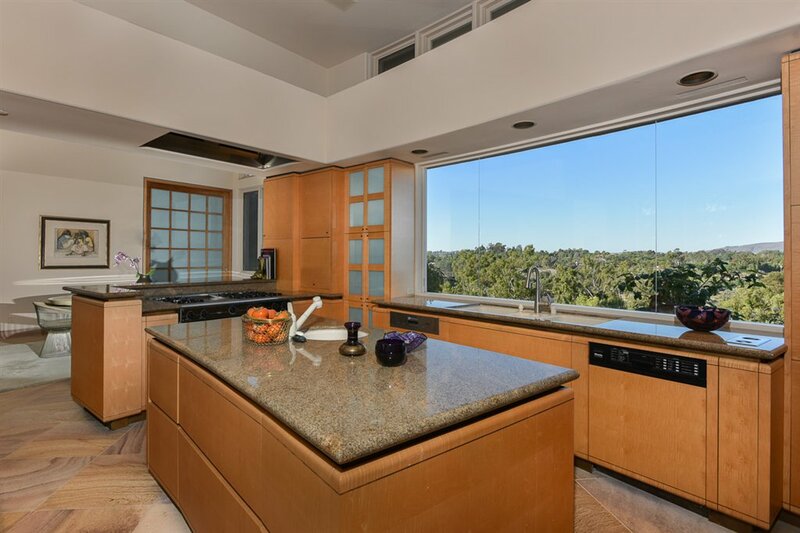 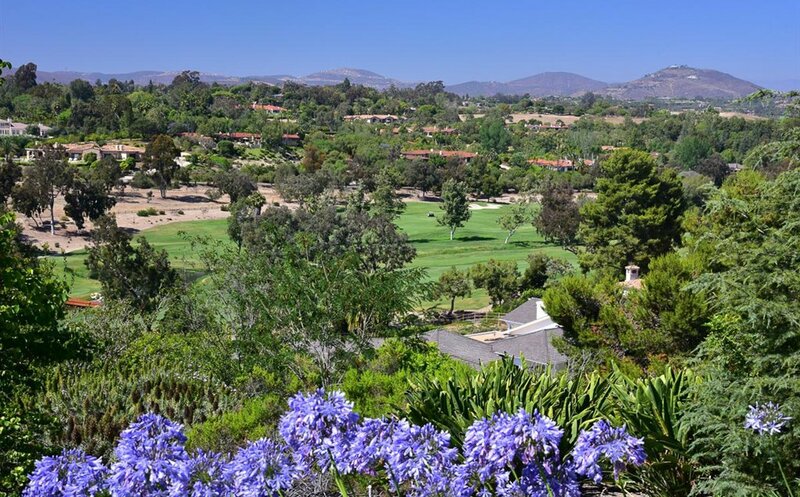 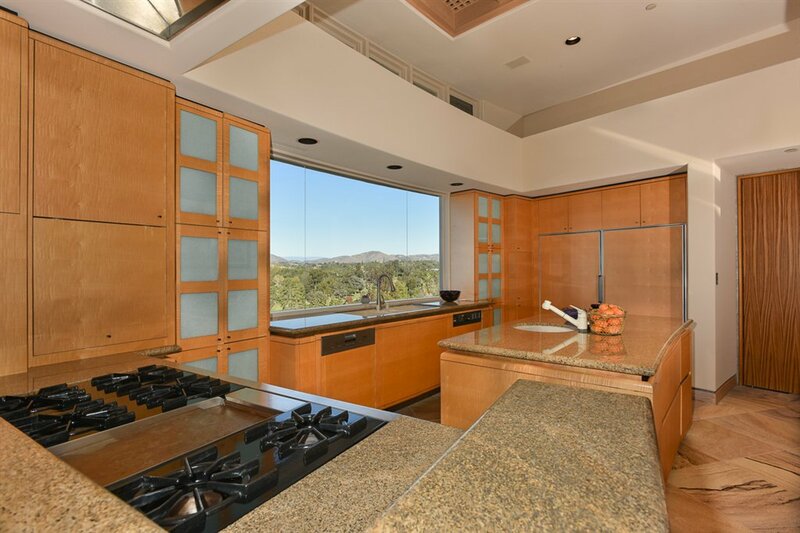 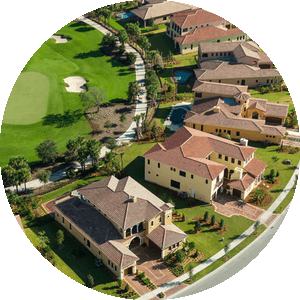 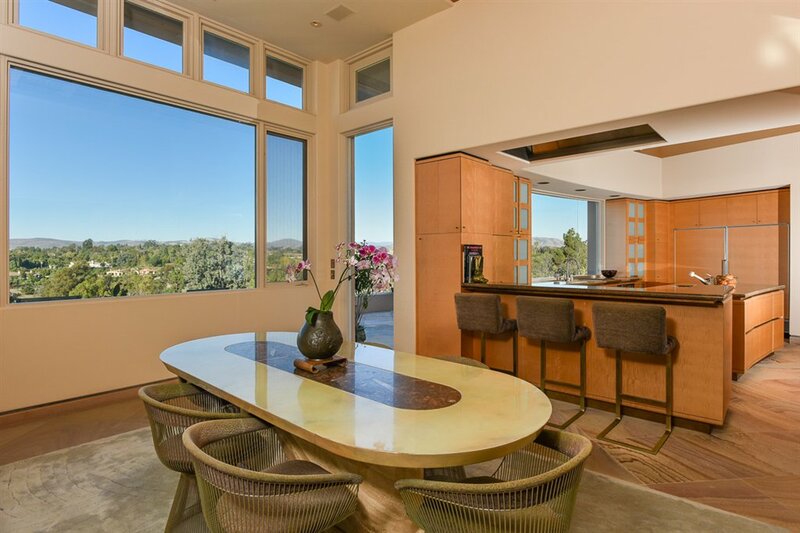 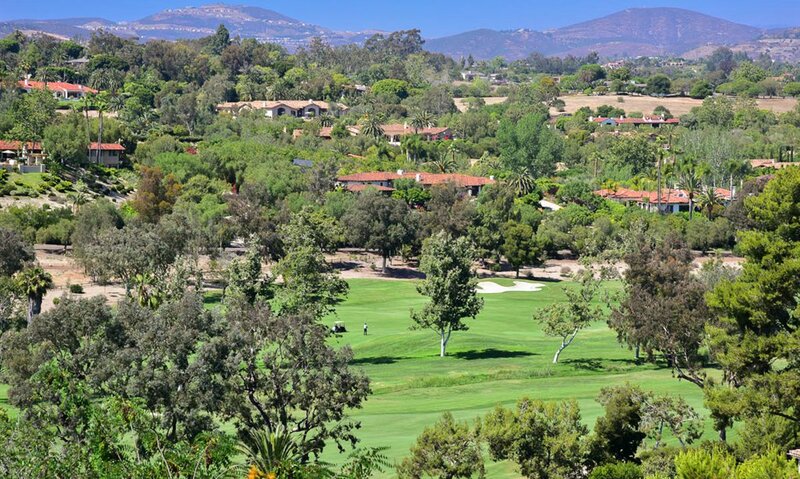 First time EVER on the market ~ Ronchetti Masterwork with Panoramic RSF Golf Course & Mountain Views. 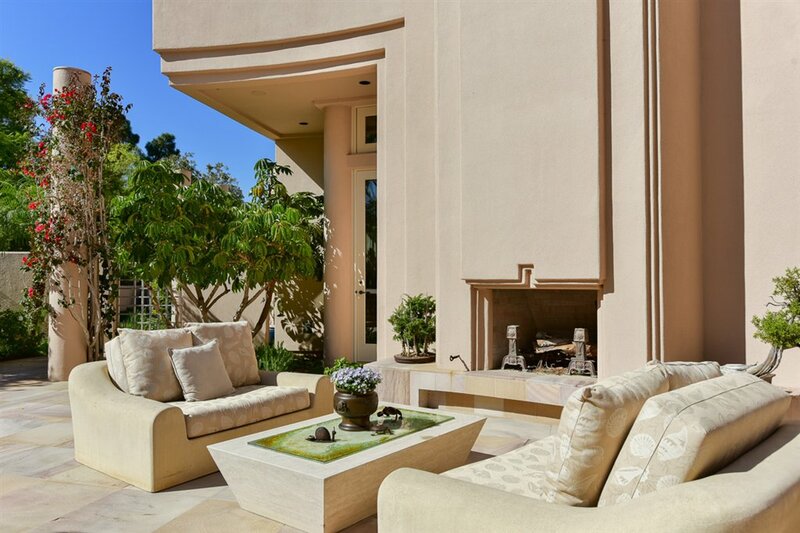 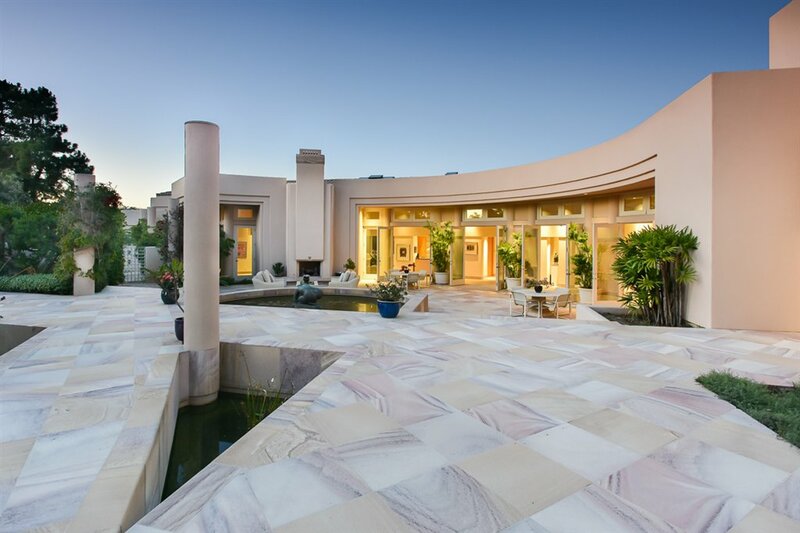 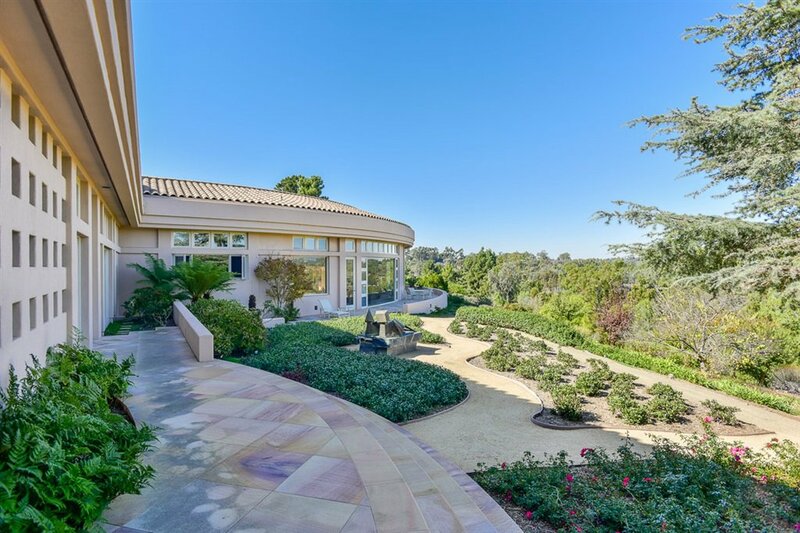 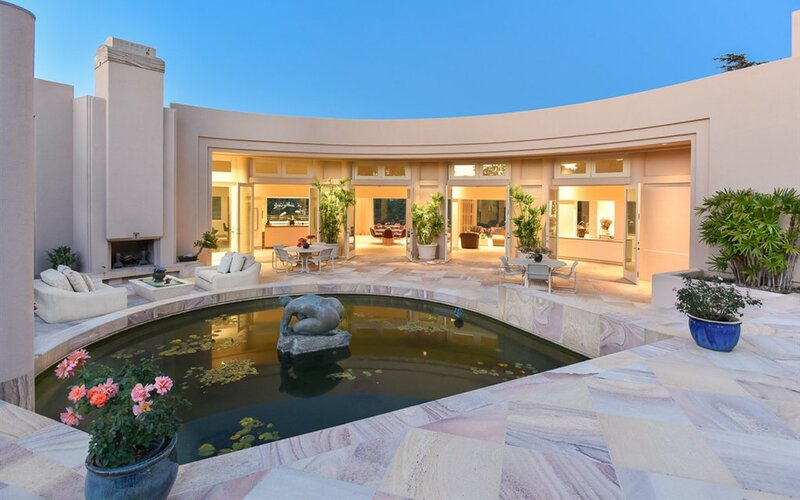 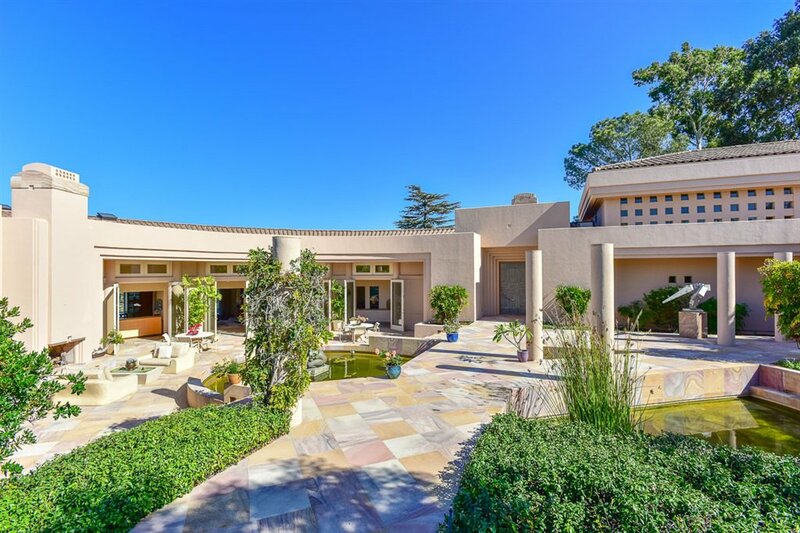 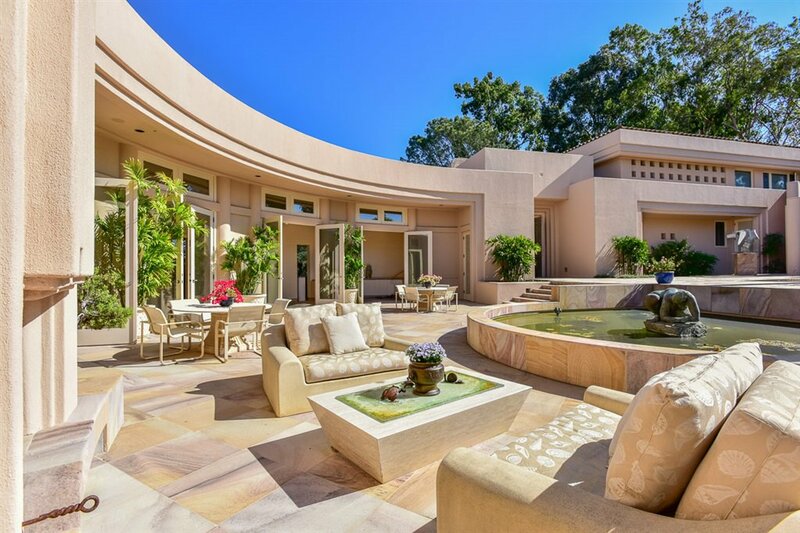 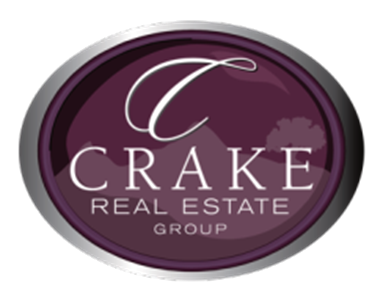 Like a mirage on the horizon, this architectural masterpiece gently comes into focus, revealing an unrivaled estate in the heart of Rancho Santa Fe’s Covenant that represents one of the most significant design achievements of our time. 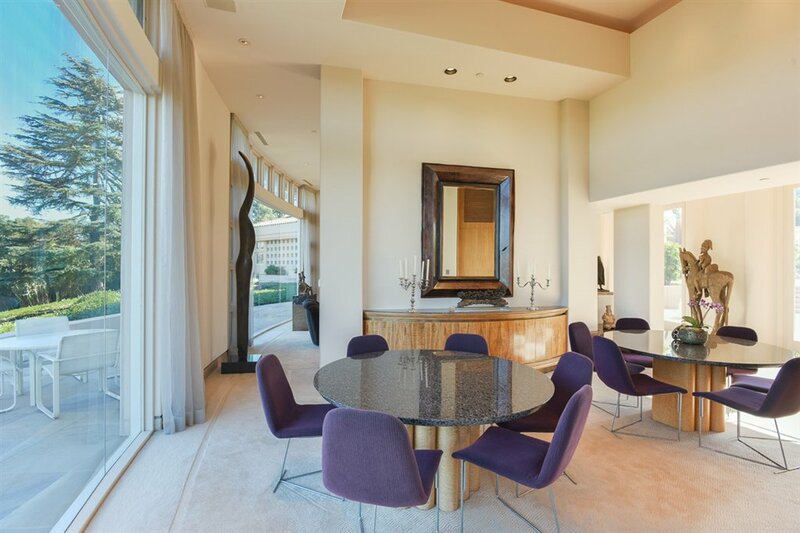 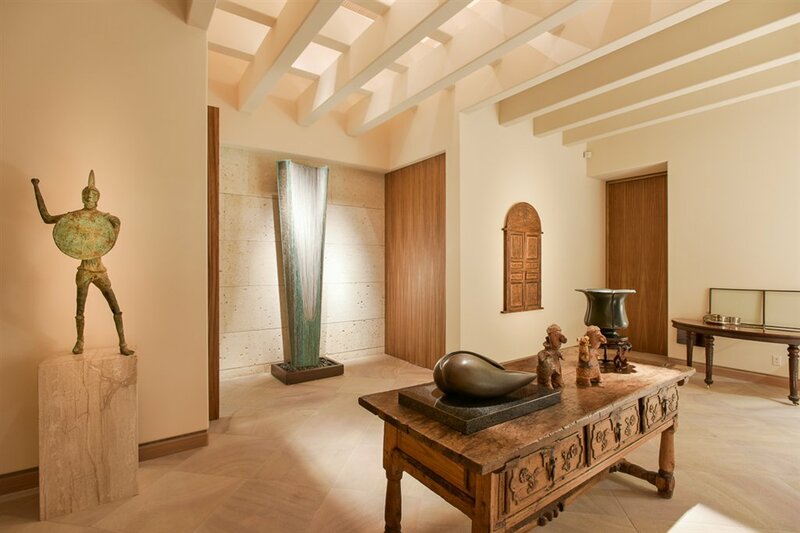 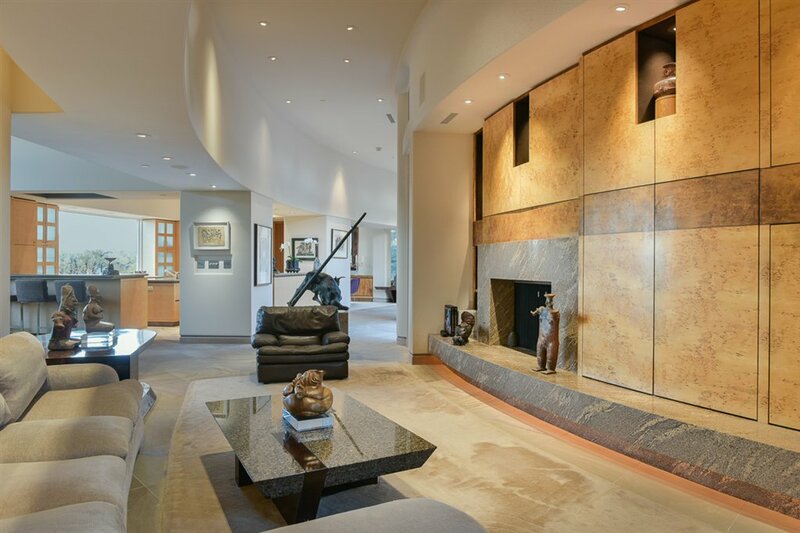 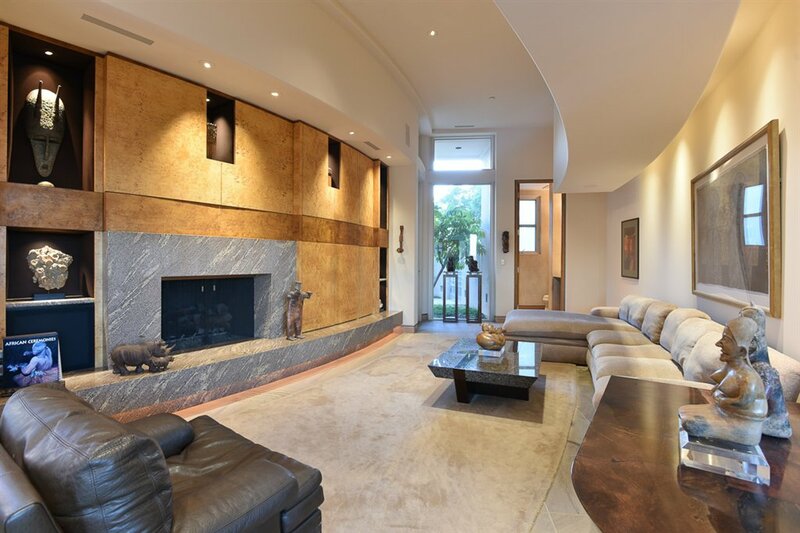 Created by Ken Ronchetti, one of architecture’s most innovative & passionate designers, the residence was built by Mike Lyon & displays interior design by Arthur Porras. 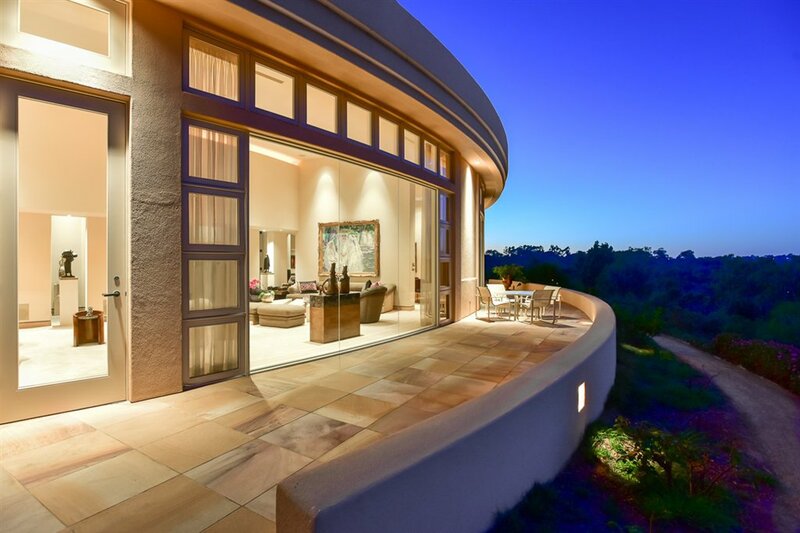 Every detail of the home comes to life within an expansive floorplan of approximately 8,202 s.f., complete with 360-degree panoramic views, a gorgeous 2.63-acre hilltop homesite, 5 bedrooms, 5 full and 2 half baths, and a spectacular great room with curved floor-to-ceiling curved windows and a step-down wet bar. 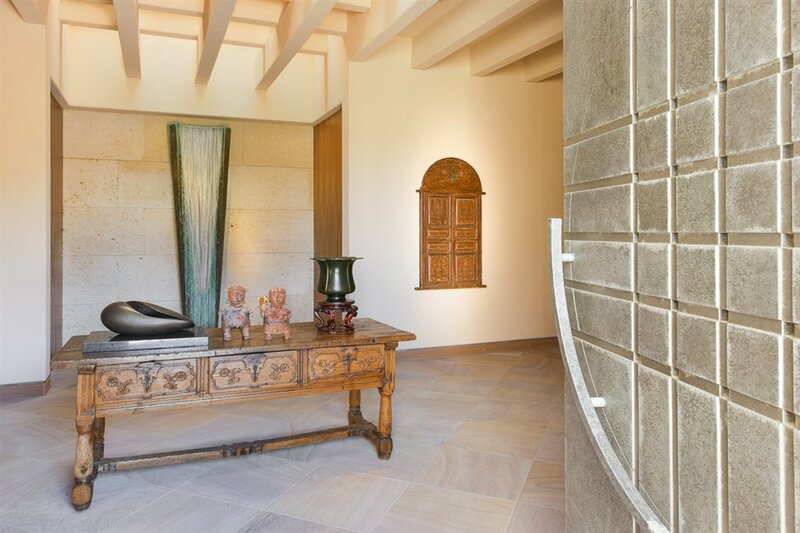 A pivoting zinc alloy entry door alludes to the home’s unique geometry, which integrates curvilinear walls and living spaces. 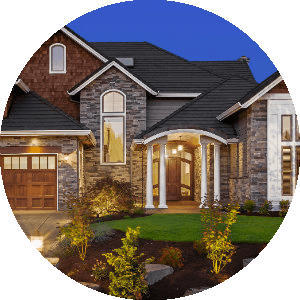 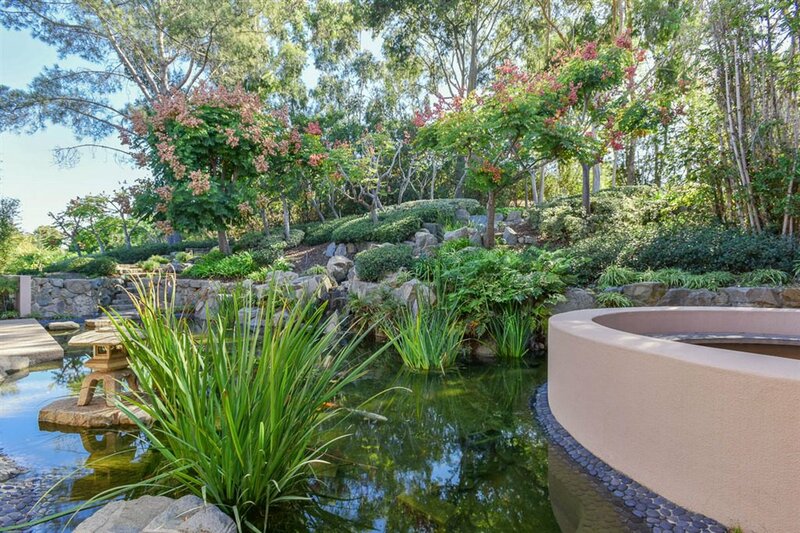 Impressive rock gardens and large koi ponds lend a Japanese flavor to grounds, which are conveniently served by a sewer connection and located along a quiet, private street. 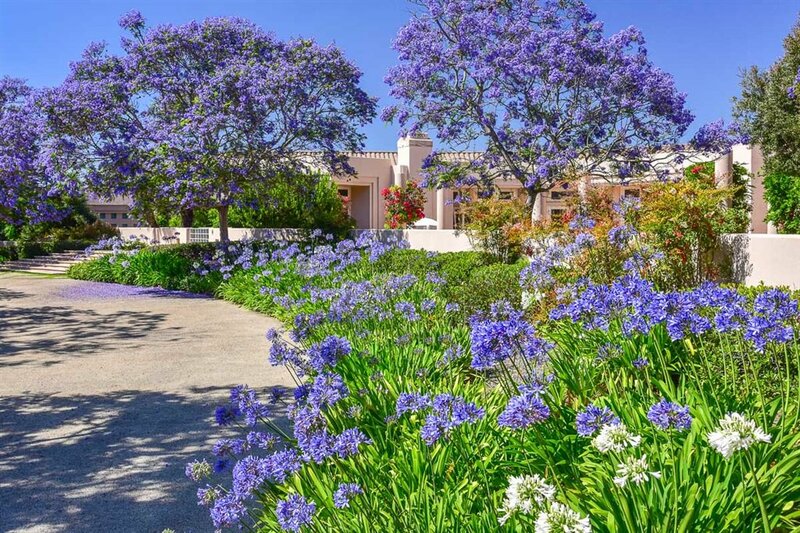 A curving 200' berm is 3' high and crowned with a landscaped garden wall, raised vegetable gardens offer farm-to-table freshness, and a grove of fruit trees includes cherry, plum, avocado, persimmon, apple and navel, blood and Valencia oranges.